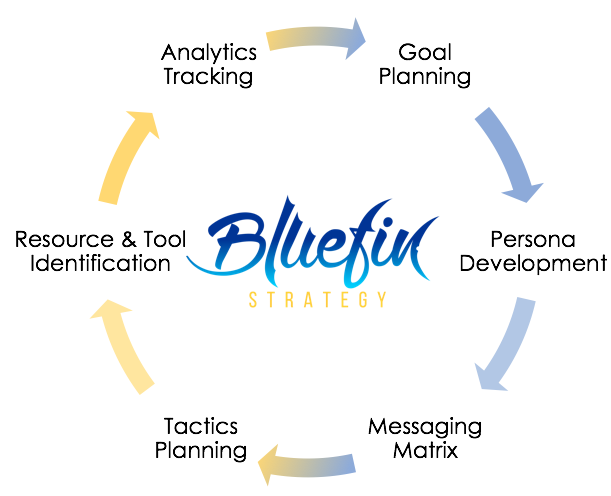 At Bluefin Strategy we bring over 30-years of digital strategy experience with companies of all sizes to small-to-medium sized businesses in order to help them compete with their biggest competitors. Our digital strategy services are data-focused by optimizing your digital marketing efforts, website user experience & web analytics tracking. Each tactic builds on the other to bring about a holistic and optimized digital strategy plan. Our collection of services allow us to offer you assistance in any way you need to make sure you’re getting the very most out of your digital presence. Click on any of our digital strategy services to learn more.